Bungee Jumping is not for the fainthearted, but neither should you fear it. 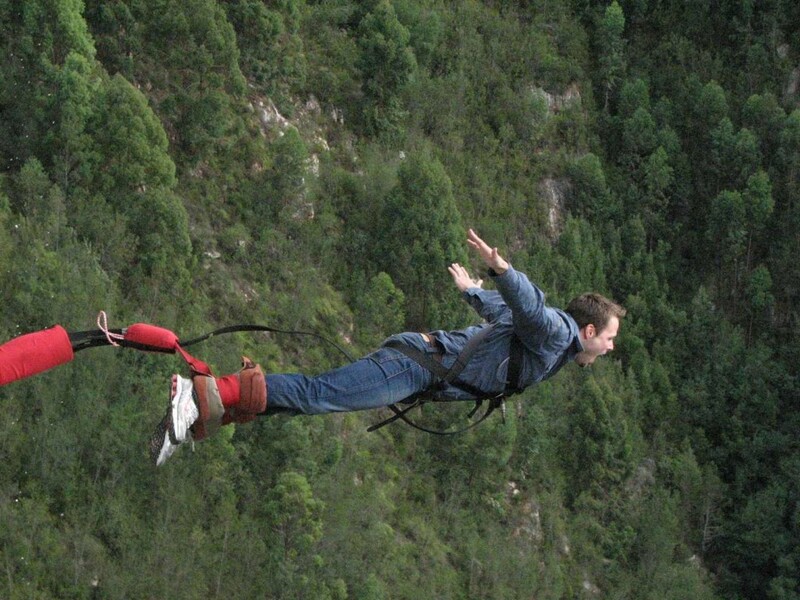 If it is an adventure you crave, then it doesn’t get more adventurous than the Bloukrans Bungee Jump at Garden Route in South Africa. One of the highest commercial jumps not just in Africa, but the world too, this bungee jumping facility is offered by Face Adrenalin with their group of experts for the last 12 years. 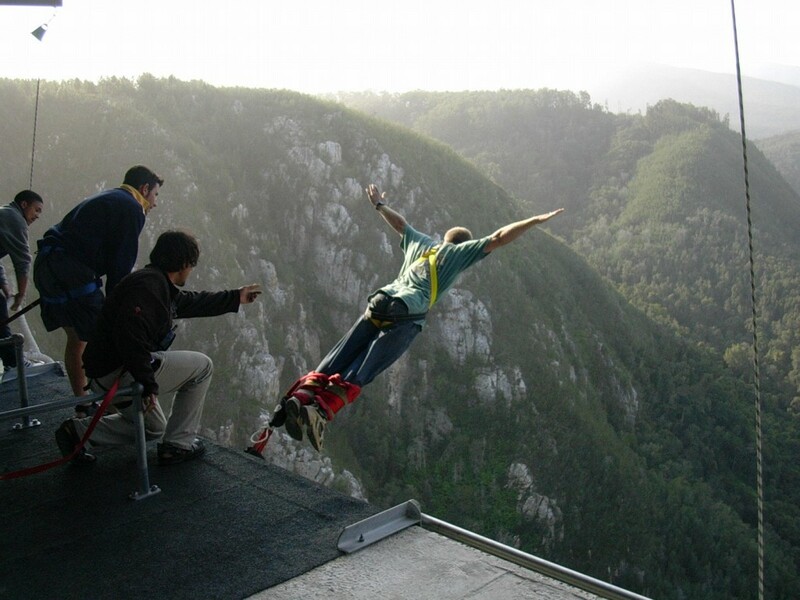 Indemnity form: Before you jump off at the Bloukrans, the team will ask you to sign a form that indemnifies them from any injuries you could sustain from the jump. Not everyone signing up jumps: Two out of every 10 people who sign up decide not to jump at the last minute. But, if you reach the jumping spot after crossing the walkway bridge then you can definitely do it. No refunds: There are no refunds if you decide not to jump at the last minute. Talk about it: Silently waiting for your turn can increase your anxiety. Sit at the bar and café located at the bottom of the bridge. Talk it out with your friends and watch the others. This can help you keep your fear at bay. It is ok to be nervous: They say fear is a motivator and gives you the biggest high when you get over it. You can be scared and nervous, almost all those people on the platform with you are just as scared but at different levels. Think positive and allow yourself to realize you are not going to die. The brain will do the rest for you. It is a 7-second free fall: The jump is over in a few seconds, but remember it is an entirely different view of the river and area around it. It is quite peaceful up there with no one around. Dress Code: Professionals: Dress in casual and comfortable clothes. Avoid skirts and shoes that may cause trouble with the ankle harness. Trainers or tightly fastened shoes will also work. Planning a tour to SA with Kesari Tours? Ask them about including a bungee outing in your itinerary.